Don’t be fooled by its size: Pistacchio Daikanyama may be tiny, but its modern interior is filled with a wide range of sneakers, from classic to the latest trends. 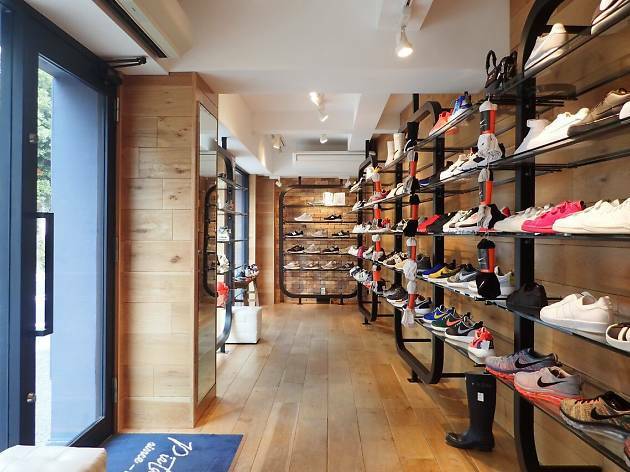 Located mere steps from Daikanyama Station, the store’s blue exterior is reminiscent of a Parisian bakery, and the narrow wood and brick-walled boutique houses brands such as Nike limited- edition goods, New Balance and Adidas. Lacoste, Patrick, Hunter rain boots and Sorel snow boots are also available in store or via their online shop. Follow the shop’s Instagram account for inspiration and to see shoes photographed in their natural habitat.